As part of the first day plenary sessions, Dell VP and Senior Fellow Jimmy Pike gave a brief historical overview of computing and management, leading up to the above solution. The next Open Compute Summit will be in Vegas in the fall. Look for us there. Ars Technica: Dell ups ante in ARMs race with 64-bit Iron server— ARM and Intel can live together in an Open Compute Summit management spec demo. We’ve been watching the ARM market develop over the past few years as these highly efficient chips that have been driving tablets and cell phones have been finding their way more and more into hyperscale servers. Well watch no more, today were are sallying forth. Why now? Because some of our biggest customers have told us that they felt the time is now to start working with these low powered, highly efficient chips for their servers. Today we announced that we will be shipping the new Dell “Copper” ARM servers via a seed unit program to select hyperscale customers worldwide. But a server does not an ecosystem make so we are doing what we can to help partners and developers get started building out applications for the platform. Given that two of the key areas where the extreme efficiencies of ARM play particularly well are Web front-ends and Hadoop environments, we have “ARMed” key partners like Canonical and Cloudera with units. At this point it is still early days in the world of ARM servers so we designed Copper specifically for developers and customers to create code and test performance, not for production. 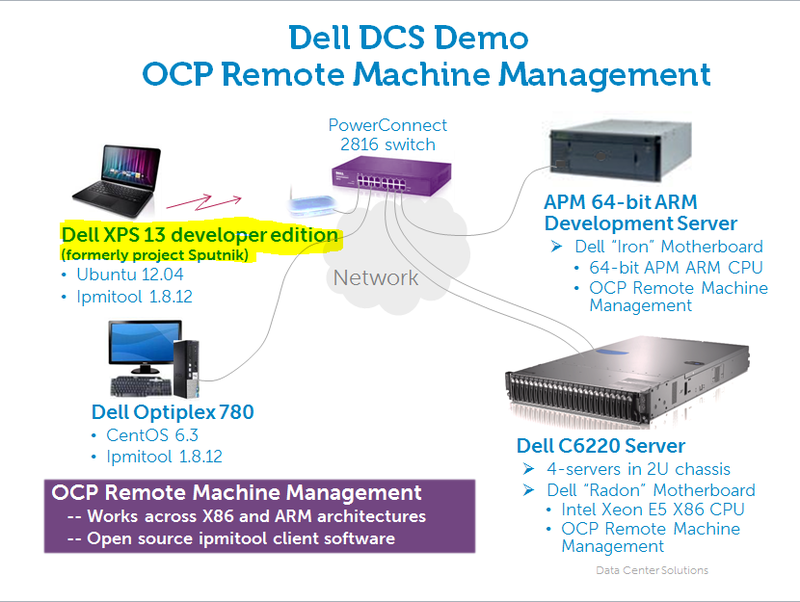 To help developers get started we have struck a partnership between the Dell Solutions Centers and Texas Advanced Computing Center (TACC) to provide devs with remotely accessible clusters to develop and collaborate on. And speaking of developers, Dells own devs are working to deliver an ARM-based version of our open source infrastructure management software, Crowbar. And it’s still powerful, with four ARM server nodes per sled, and 12 total sleds, bringing a total of 48 server nodes to a single 3U C5000 chassis.